It seems that the only stem cell research that we hear on the news is the very controversial embryotic stem cell research. There is much more research being done. The hope is to one day to be able to cure or prevent diseases with the use of stem cells. The amount of lives that could possibly be saved is astronomical. Not only are scientists hoping to use dental stem cells to reverse tooth decay, but the hope is that they can take these cells and inject them into patients to help repair heart, brain, nerves, cartilage and liver. We do know that stem cells have amazing regeneration powers. Cancer patients can have stem cell transplants which could help to replace the cells that they have already lost, thereby helping to cure their cancers or other diseases. 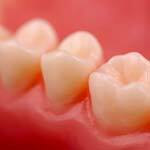 It has been found that the dental pulp stem cells may be instrumental in helping to treat Parkinson’s disease, leukemia and multiple sclerosis as well as many more devastating diseases. Dental stem cells also known as mesenchymal cells can produce other cells. These can be pulled from baby teeth. This is much less controversial than embryotic stem cells. Because these dental stem cells can come directly from baby teeth, there is no real expense to collecting or extracting the teeth. The only expense that would incur would be from the stem cell bank used to store the dental stem cells. These stem cells are good for approximately ten years. It’s assumed that after ten years the effectiveness may wear off. As much research that has been done it’s obvious that there are many benefits of stem cell research. Hopefully in the not too distant future many of these diseases will be a thing of the past.